2. Service Type- Provides a description of the service types available from the Service Type drop down menu when logging a student encounter. For more information on logging student encounters, refer to the "Case Load Management" chapter of this manual. This is a list of the various Medical Areas that are available when logging a student encounter. 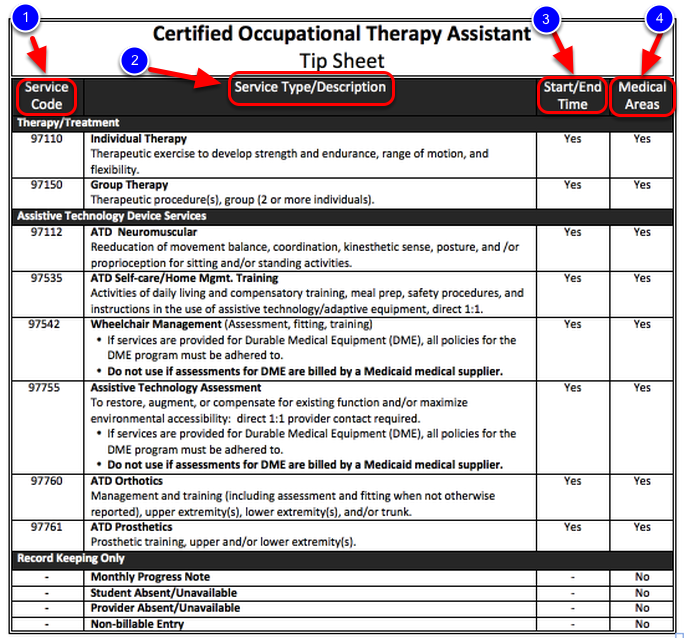 Medical Areas vary by discipline (i.e., Medical Areas for Certified Occupational Therapy Assistants (COTA) will be different than those available for School Social Workers). For more information on logging student encounters, refer to the "Case Load Management" chapter of this manual. This is a list of General Service Information. 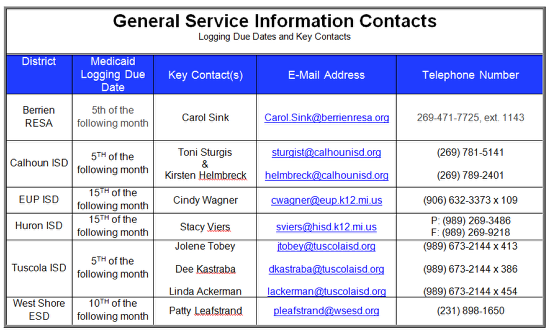 If you have additional questions please contact your Medicaid Services Coordinator/Department. For additional help you can contact us at help@IlluminateEd.com.